Back Street is probably the least “touristy” and my favorite. But now a cool new spot has opened – in a location that has languished since being refurbished a few years back. It was my first time up these stairs to visit the new Iguana Juan’s. What a great location! To sip a margarita and enjoy some really delicious food and just hang out. And watch the real world, San Pedro. The owners, Shannon and Brad. They sold a HUGE comedy club in Raleigh North Carolina about 5 years ago and were looking for a tropical way of life. 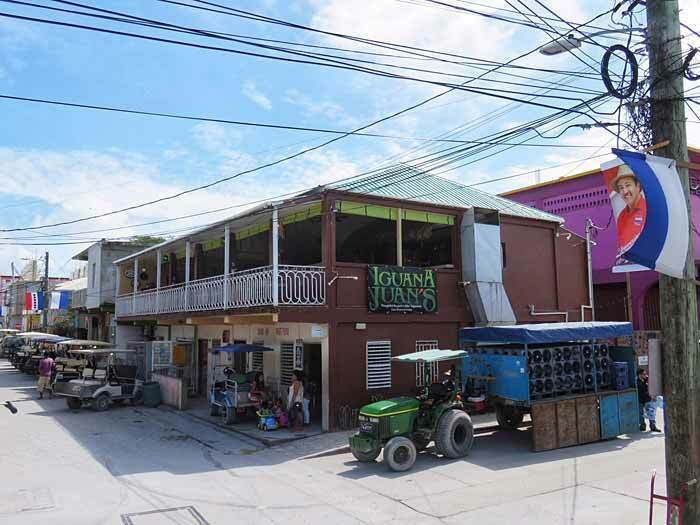 They lived in Hopkins, Belize for a while and then came up to Ambergris to open their new business. They will also be holding cooking classes featuring tamales. I tried a sample of really delicious brushetta on homemade bread.